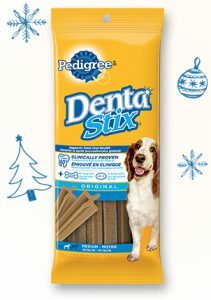 Enter your details to receive a FREE 50g sample pack of Denta Stix Treats for Dogs from Pedigree. There are 115,000 samples available, so hurry before they run out. Giveaway ends on December 31st, 2017, or while supplies last. Limited of one (1) request per household. Allow 4-6 weeks for delivery. Free Sample of Temptations Cat Treats!